Click to learn more today! Proudly representing Syracuse University in the Big Apple! 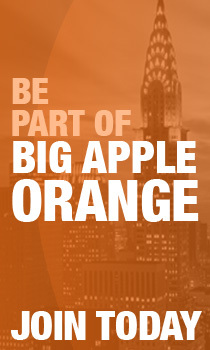 Welcome to Big Apple Orange, the official Syracuse University alumni club of New York City. Here you can connect with fellow ‘Cuse alumni through social, philanthropic, and professional events across the city. Stay in the loop of all things Orange in the Big Apple!